It is a size 2XL. It is White with a Cute Dog Print. 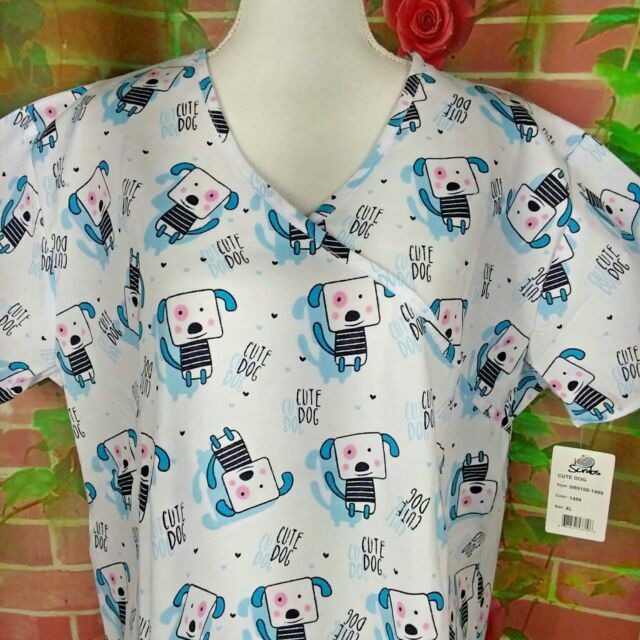 I have listed other Scrubs. Fabric Type: 45% Polyester and 55% Cotton. Side Vents. Neck Style: V-Necks.